The Cyber Quotient (Cyber Q) CND Exam Prep program helps you prepare for the CND certification exam. This program helps you focus on areas where you need improvement as well has helps you prepare for the types of questions you are likely to encounter on the actual certification exam. The simulated assessments contained in Cyber Q are designed to help you gauge your proficiency in each area as you progress through your studies. Cyber Q also enables you to focus your learning on specific content within the CND testing framework. Exam prep programs like Cyber Q are designed to help you improve your time management skills so that you not only feel confident that you can answer the questions correctly but also within the time allowed for the exam. 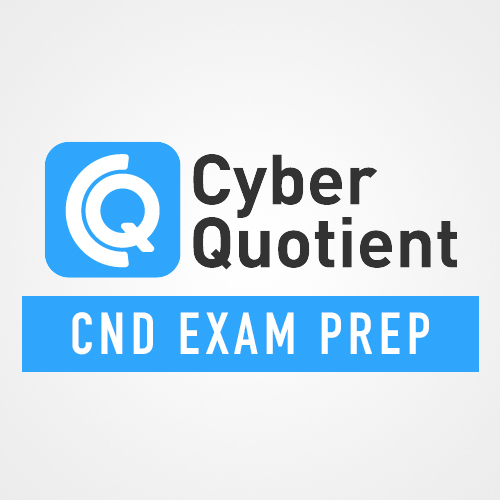 Cyber Q CND Exam Prep includes one year of access to the assessment tool. This exam prep is for the CND certification only.